宋灿灿, 郭忠印, 乔亚丹. 高速公路平曲线标志标线组合设计评价指标[J]. 同济大学学报(自然科学版), 2018, 46(7): 913-919,981. 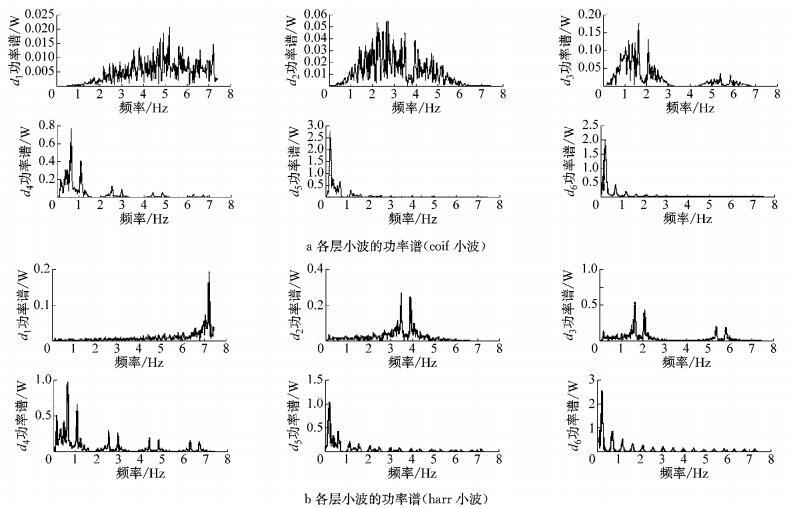 DOI: 10.11908/j.issn.0253-374x.2018.07.008. 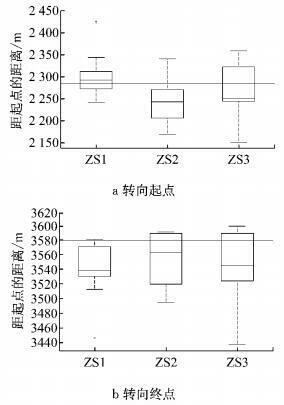 Abstract: Based on driving simulation data, combined with drivers' characteristics in highway horizontal curve of operation speed characteristics, steering characteristics and driving track features, speed, steering wheel angle coefficient and lane position were chose to construct rationality evaluation indexes and effectiveness evaluation indexes for layout combination of signs and markings in highway horizontal curve. Among them, rationality evaluation included steering position evaluation and driving workload evaluation. 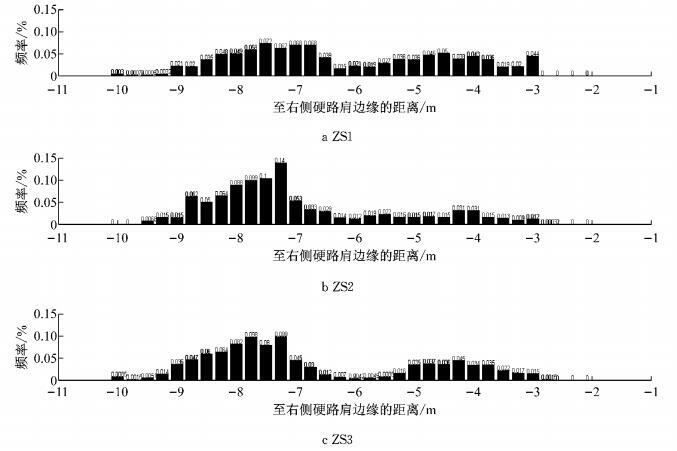 Wavelet decomposition method was used to decompose steering wheel angle coefficient into multilayers. Then starting/ending turning position and high frequency energy were obtained. So steering position evaluation was conducted through the distance between starting/ending turning position to point of tangent to spiral/ point of spiral to tangent. Driving workload evaluation was carried out through high frequency energy ratio. 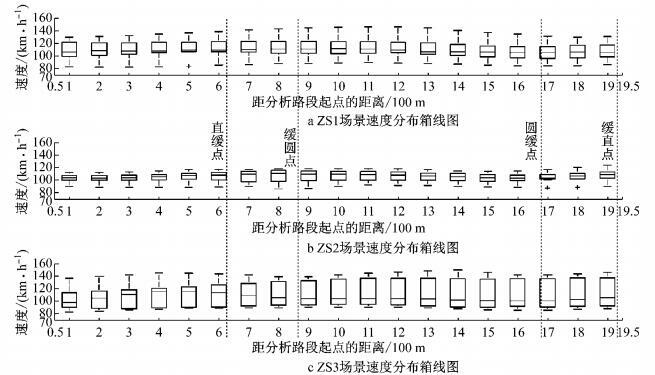 Effectiveness evaluation included speed control effectiveness and lane position control effectiveness. Speed control effectiveness evaluated by average speed, operation speed and speed deviation while lane position control effectiveness evaluated by average lane changing times and average distance of rolling on markings. Through the application example, the necessity of researching on layout of signs and marking and the validity of evaluation indexes was verified. 在总长度为6.5 km、平均纵坡为-2.75%，设置有3段平曲线(半径分别为1 220, 800, 1 500 m)的实验场景内，选择半径为800 m的圆曲线处设置三种(记为ZS1、ZS2、ZS3)不同的标志标线组合设置方案.标志标线的设置位置均根据规范建议设置.共13名熟练营运驾驶员参与实验，每种标志标线组合设置方案各获取了9组有效实验数据.实际行车过程中，驾驶员转弯与生理反应的起始位置可能早于直缓点，因此，根据3 s原则选择小半径圆曲线直缓点上游3 s行驶距离处作为分析路段的起点，分析路段为1 700~3 600 m.
分析路段每100 m的断面速度统计如图 7所示.对比方案的车辆断面车速进行参数检验结果表明，平均速度、运行速度、车速离散度指标的参数检验结果均为ZS2 < ZS1 < ZS3.设置横向减速标线与纵向减速标线的ZS3方案速度特征值较高，部分驾驶员对横向减速标线与纵向减速标线的组合产生过度反应，以较高的运行车速通过平曲线.而线形诱导标与纵向减速标线的组合设置的减速效果显著. TORBIC D J, HARWOOD D W, GILMORE D K, et al. NCHRP report 500: guidance for implementation of the AASHTO strategic highway safety plan—volume 7: a guide for reducing collisions on horizontal curves [R]. Washington D C: Transportation Research Board, 2004. 华杰工程咨询有限公司. 公路项目安全性评价规范: JTGB05—2015[S]. 北京: 人民交通出版社股份有限公司, 2015. Chelbi Engineering Consultants, Inc. . 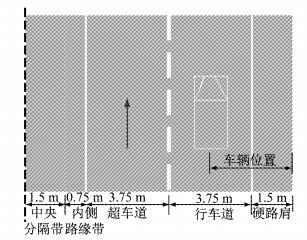 Specifications for highway safety audit: JTGB05—2015 [S]. Beijing: China Communications Press, Co., Ltd., 2015.